Fishes have wiggled their way into every sphere in the art world. If you’re looking for all manner of fish shape templates for some project or other, this collection should go some way to meeting your needs. 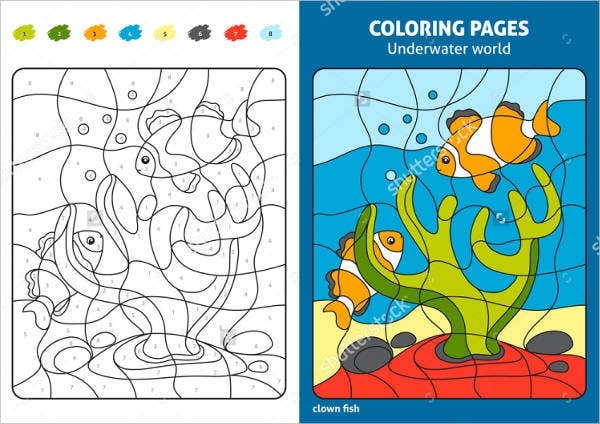 Here we cover samples for everything from logo ideas, clip art, printable coloring sheets, Web vector templates, and other images featuring an underwater theme. 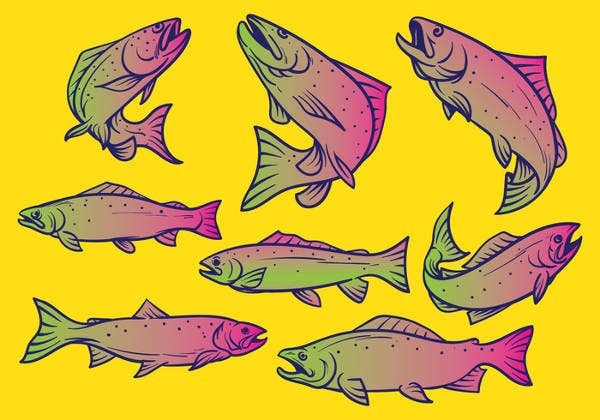 They range from the conventional to the slightly obscure, so if you are looking for some fish-themed resources, this collection should help you out. Many of these templates and samples will be free to download and use, while some are for sale. Make sure to check the download pages for your options. Sea creature templates are versatile things when it comes to design. The images on this list can be used for any purpose, be it corporate branding, product manufacturing, or simply as part of a personal or school art or science project. 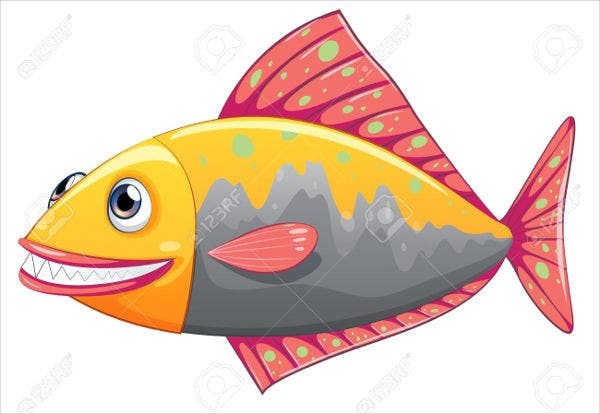 The Free Fish Template below will provide a nice start for primary school projects and other educational programs that allow students to play with website themes. 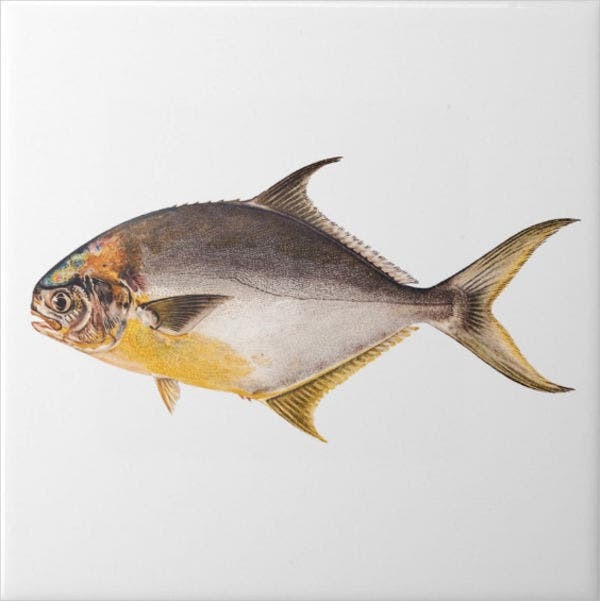 The Blank Fish Template featuring a vintage painting of a pompano game fish is a great collector’s item that you can get for $14.35 USD to have framed on your wall. 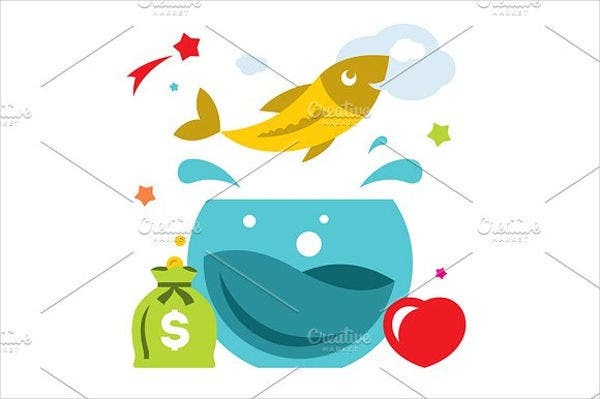 You can buy the Small Fish Template as a quality clip art for presentations and other illustrations. For $6 USD at the standard license, you can get this clip art as a PNG with transparent background. 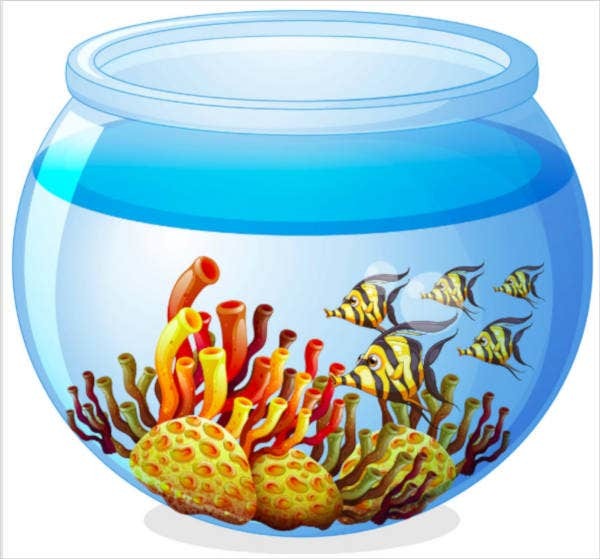 The Fish Bowl Template above is also another good resource for creating kid-friendly graphics or stickers. Our most expensive offer here is the premium-quality Fish Shape Template from GraphicRiver.com. 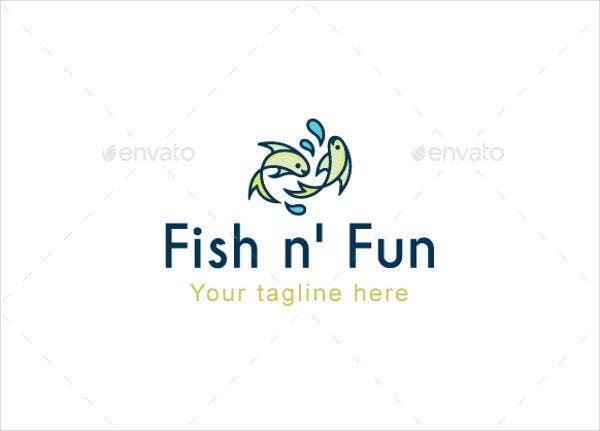 For $59 USD, you get this logo of two playing fishes which, according to the designer, represents “interaction, freshness, and continuity.” This is the perfect logo for water sports, aquariums, kids toys, conservation affairs, restaurants, and others. If you have the marketing budget, this is a great option. Again, be sure to check the download pages for details on how to get these products, and note any licensing restrictions. 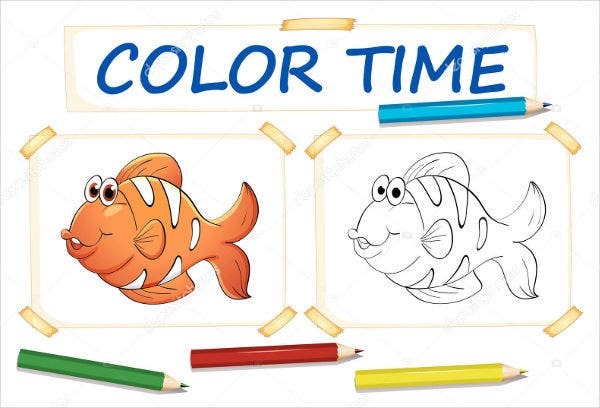 These 50+ Free Printable Fish Templates feature a whole collection of black-and-white fish outlines that you can print out for children’s coloring projects. Looking for line art of marine life other than fish? From crabs to octopus, jellyfish and stingrays, you can find many of them here in these 65+ Sea Creature Templates. Need a fish to represent your company or business? You can find some great options among these 19+ Fish Logos. Sharks aren’t fish, but if you want some shark-themed craft and design resources, check out these 55+ Shark Shape Templates, Crafts & Coloring Templates. And for something marginally related to fish, check out some Fishbone Diagrams for an introduction to a creative planning method using the iconic fish shape. 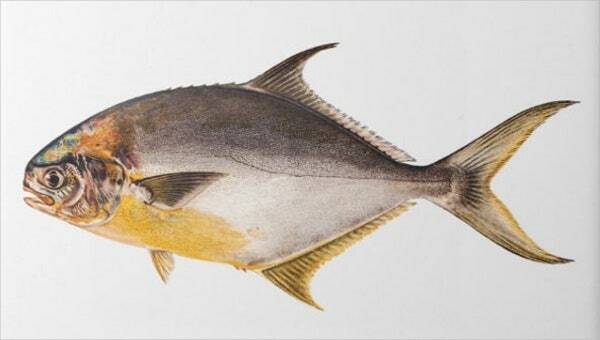 Last but not least, if you want some examples of fish art, glance through this gallery of 9+ Fish Drawings to inspire you.